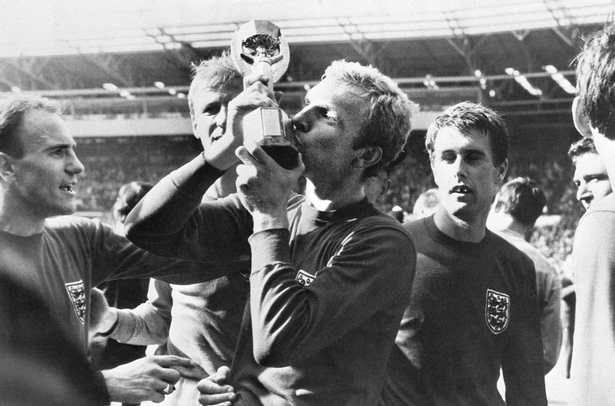 Like the battle of Hastings in 1066, football fans will never forget the year when England won the World Cup 1966. As the quote goes: ''They think its all over...'' Kenneth Wolstenholme's commentary on BBC when England beat Germany 4 - 2. Whatever your fancy, Sun Bets has lots of great offers. I get the feeling we will have to wait until 2066 to see another FIFA World Cup for our beloved football nation. Here is a quick summary of other sporting winners in this famous year. Manuel Santana wins the men's final. While Billie Jean King wins the women's. Anlgo wins at odds of 50-1 for trainer Fred Winter, ridden by Tim Norman. A 20-length victory beating Freddie who was runner-up the year before. Almost as well known as England winning the World Cup, equine star Arkle made this a historic Gold Cup winning for the third time in consecutive years. Tom Dreaper trained this amazing nine-year-old for the Dutchess Of Westminster, ridden by Pat Taaffe at odds of 1/10f. The English Triple Crown wasn't achieved. We had to wait until 1970 for Nijinsky to win the 2000 Guineas, Epsom Derby and St Leger. He went on to win the Irish Derby just for good measure. Who won these races in 1966? 2000 Guineas - Won by Kashmir trained by Mick Bartholomew, French-trained colt who showed class as two. 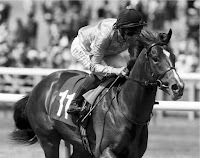 Epsom Derby - Charlottown trained by Towzer Gosden. This bay colt won seven of his ten races but retire at four when disappointing in France. St Leger - Readers may remember this class horse - Sodium. This son of Psidium was trained by George Todd at Manton in Wiltshire. Sodium finished fourth behind Charlottown in the Epsom Derby and went on to win the Irish Dery in the same year. A long history of the battle of supremacy for Oxford and Cambridge University. The 112 boat race took place on the 26th March 1966. A tight competition, Oxford won by three and quarter lengths. Cambridge won the women's race. The only two medals England achieved in these championships. Football fans enjoyed a battle between two tough sides in this final. Everton went on to beat Sheffield Wednesday 3-2. 29th March - Muhammed Ali defeats George Chuvalo in 15 rounds on a unanimous decision. 21st May - A fight few UK boxing fans will forget. Henry Cooper deserved to beat Muhammed Ali ( Cassius Clay) in their first fight in 1963 with a left hook in the final seconds. The fight was delayed when Ali's gloves had to be changed after a tear (which was later detailed as a deliberate act by his corner). Cooper was outfought and stopped in the 6th round by a technical knockout in 1966. 10th September Ali had a tough fight with Karl Mildenberger with a 12th round TKO. He concluded the year retaining his WBC heavyweight title knocking out Cleveland Williams in three rounds. What's your favourite sporting year?